This pattern is very simple. 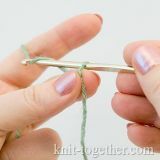 We make it alternating a single crochet and a double crochet. 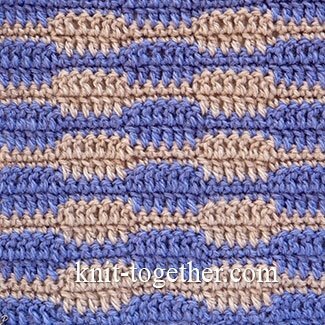 The geometric pattern is perfect for crocheting blanket. 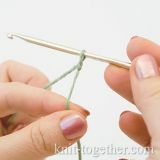 You will have a nice meditative crocheting. 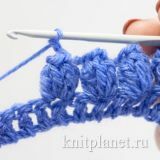 No analysis complex circuits and hiding of many tails, as when crochet blanket of squares. 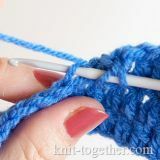 The repeat (rapport) of the pattern - 12 loops by width and 4 rows by height. 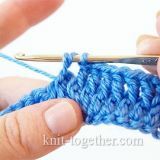 For a sample of pattern make chain stitches a multiple of 12, plus 6 chains for the symmetry of the pattern, plus 2 turning chains. 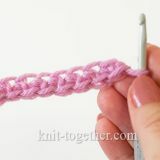 There is a video how to crochet this pattern in the bottom of this page. 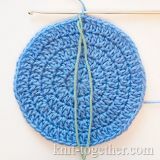 4 row (color A): 1 turning chain, 6 single crochet, * 6 double crochet, 6 single crochet *, 1 single crochet. 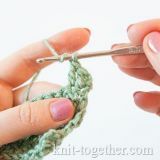 In this video tutorial, we show in details how to make a crochet pattern for the blanket. Our youtube channel is in Russian, but the material understandable and without words and we hope it will be very helpful for you.